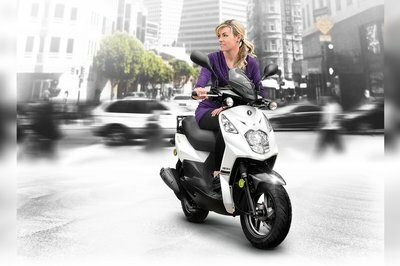 Lance Powersports expanded its imported range back in 2013 with the addition of the PCH series scooters. Model year 2016 saw the addition of the 200i engine that brought the PCH into the 21st Century with fuel-injection induction control, better power and improved mileage. 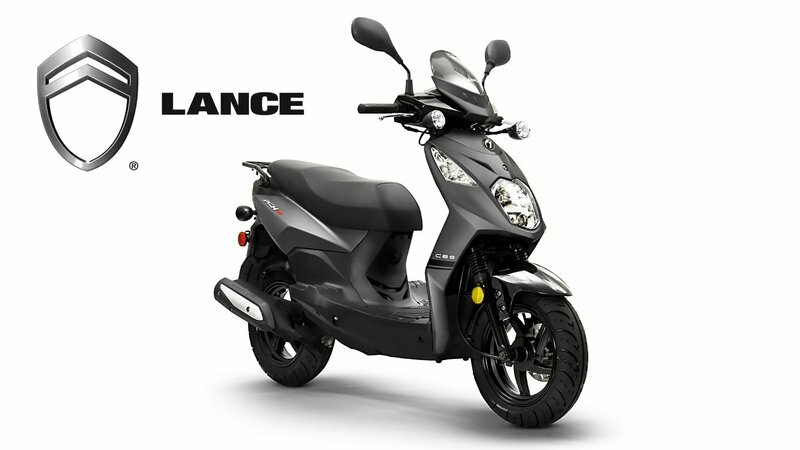 Offering the 50 cc and 125 cc models as part of the PCH stable, Lance gives the scooter market a Euro-sport styled, budget-minded ride for urban or suburban transportation. Continue reading for my review of the Lance PCH 50, 125, and 200i. Under-seat storage is less-than-stellar with only enough room for a half-helmet and a handful of possibles, and the seat covers the fuel filler as well. The company rebrands units built by the Taiwan-based Sanyang Industry Company Limited (SYM) having discontinued its own manufacturing efforts in 2009. SYM is an experienced builder with its own self-named product line that is well known in the Asian market, but Lance is bringing it into the U.S. market where it will have to perform against a handful of other Chinese-made importers as well as the big boys from Europe. How did it do? Well, honestly it’s a mixed bag that hopefully averages out at the end of the day. Let’s dissect the family and you can decide for yourself. In spite of its Asian origins, the PCH has something of a Euro-sport appeal to it. Angular features preclude the usual curves in the body to give the PCH range a thoroughly modern look. A narrow legguard houses some incredibly bright headlights with vestigial recessed turn signals. Why “vestigial” you ask? Well, in order to meet U.S. regulations, the factory had to add the whisker-light turn signals that stick waaay out from the handlebar housing. That makes the much better-looking recessed lights superfluous, and there it is. A tee-niney little flyscreen tops the bar housing for a bit of protection for the gauges but little else. Sure, it will shunt some of the pressure away from the rider’s lower trunk, but mid-chest and up is going to catch the slipstream and that redirected air. A full step-through makes for easy mounting and dismounting as well as my favorite little ’tween-feet storage spot, but the 31-inch seat height may put some riders on either their tippy-toes, or into the old one or the other routine unless you slide off the seat at stops. A generous pillion area and grab-rail finish out the upper lines. An LED taillight and turn signals wrap up the rear lighting with a mudguard/plate holder that covers nearly the entire rear wheel to keep the spray, rocks, and road grime contained. Speaking of containment; the under-seat storage is less-than-stellar with only enough room for a half-helmet and a handful of possibles, and the seat covers the fuel filler, as well. Neither are really worth whining about, but with so many scooters packing more storage space and getting away from the under-seat fuel filler, it’s worth a mention, at least. Overall the fit-and-finish is about what you’d expect; not bad enough to be a deal breaker for most, but nowhere near that of, say, Piaggio or Honda for instance. High-strength steel frame serves as the bones, which not only makes body repairs simpler, it allows for the full step-through that I like. SYM opts for the low-tech approach on the support system. Rather than fool with a monocoque assembly, a high-strength steel frame serves as the bones. Not only does this make body repairs simpler (read: less expensive), it allows for the full step-through that I like. A set of motorcycle-like forks buoy the front end with the genre-typical swing-unit rear articulation and monoshock to tame the rear end. A 190 mm, wave-cut front rotor stops all three of these siblings, but while the 50 and 125 variants run a drum brake out back, the 200i sports a 220 mm disc with a combined-brake function. Essentially, the CBS shares pressure from either brake lever with both the front and rear brakes. Since the front caliper has two pots versus only one on the rear, the system naturally favors the front with more braking effort, just as it should. It’s not quite as much of a safety boost as ABS might be, but there is certainly value to be found in balanced braking effort. Aluminum rims mount the 12-inch hoops to round out the rolling chassis. The 200i is capable of spooling up to over 65 mph depending on grade, tailwinds and how much you ate for lunch, so commuting anywhere but on the superslab is a possibility. The three models diverge at this point with different powerplants, but let’s start with the constants. These thumpers come with SYM’s Ceramic-Coated Cylinder technology that uses an electroplated Ni/SiC layer over the aluminum bore to provide a long service life without the weight, expense and difficulty of fitting an iron sleeve. Air cooling achieves the same net effect by eliminating the water jacket and radiator. Of course, all three run a continuously-variable transmission for convenient twist-and-go operation, and come with EPA and CARB certification. Now for the differences. The “50” runs a 49 cc plant with an electric starter to light the fire and a kicker for backup, a feature I always like to see (been stranded, I have; talk like Yoda, I will). Compression clocks out at 11.8-to-1, with a carburetor to feed it the requisite 90-plus octane fuel. Power output is as meager as one would expect from such a small mill with only 1.84 pound-feet of torque at 6,500 rpm and 1.9-horsepower at 8,500 rpm. Riders can expect 117 mpg, but top speed is governed down to 30 mph max so it’s not likely to be very useful in most areas in the States. Next we have the “125” that actually displaces 124 cc. Gone is the kicker, but it retains the carburetor induction used by the 50. Compression is a bit lower a 9.6-to-1 but it still calls for 90-octane fuel or better. Mileage drops a skosh to 90 mpg, but power jumps to 6.14 pounds o’ grunt at 6,500 rpm and 8.38-horsepower at 7,500 rpm. Unrestricted, this model reaches speeds around 59 mph for much more utility over here. 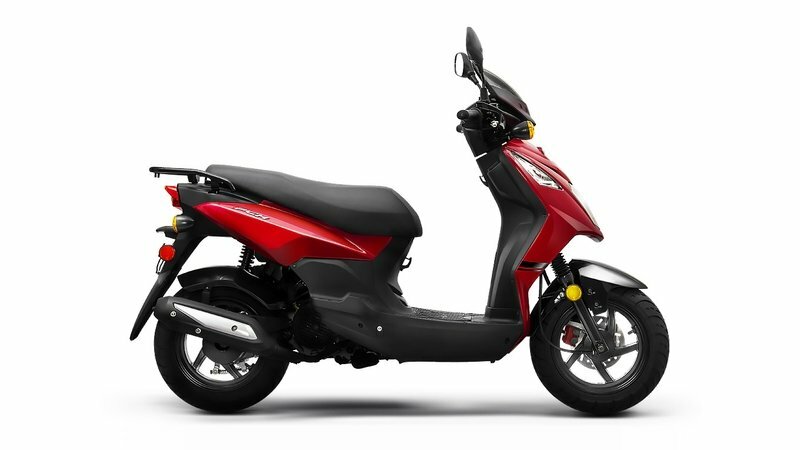 At the top of the food chain the 169 cc “200i” brings electronic fuel injection to the table for an 89 mpg efficiency rating. Compression hops back up to 10.2-to-1 with the same fuel requirements as its siblings and power clocks out at 9.21 pound-feet at 5,500 rpm and 11.8-ponies at 7,500 rpm. This ride is capable of spooling up to over 65 mph depending on grade, tailwinds and how much you ate for lunch, so commuting anywhere but on the superslab is more of a possibility. Fit-and-finish aren't quite up to top-shelf standards, but then neither are the prices. While it’s fair to say that fit-and-finish aren’t quite up to top-shelf standards, neither are the prices. Lance lets go of the restricted PCH 50 for a mere $1,599 while the much more capable 125 slides for another $300 at $1,899. 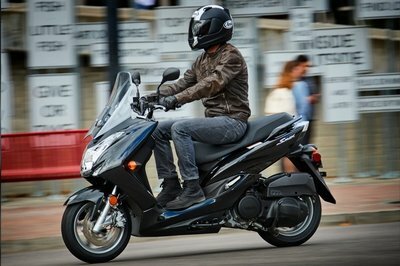 Even the thoroughly-capable 200i is arguably within the means of all but the tightest budgets at $2,599. 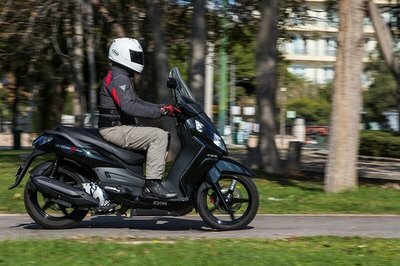 At the checkout, KYMCO picks up a win with a lower price, but some customers may feel it's worth paying for the extra power and EFI available with the PCH. At first I was tempted to go straight to Vespa or Honda for a competitor, but in the interest of fairness, I decided against it. The fit-and-finish category would be a killer for the PCH range in such august company. Instead, I looked for more of an apples-to-apples manufacturer and model instead. I settled my sights on the Super 8 150X by KYMCO. 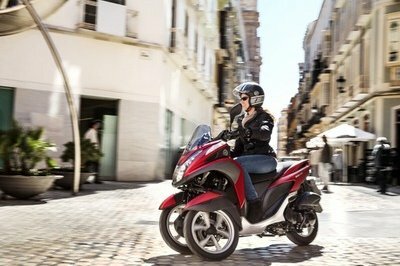 KYMCO favors a similar sporty attitude but winds up as the scooter equivalent of a “naked bike” with un-enclosed handlebars without even the suggestion of a flyscreen. Handlebar-mount turn signals look better and are more durable than the whisker lights on the PCH, and much less likely to flop around when tackling bumpy roads. The Super 8 has much the same layout with a flush step-through deck and somewhat limited under-seat storage, but the seat has a feature one normally associates with the aftermarket or top-line touring bikes: a pillion pad that will flip up to serve as a rider backrest. Both have typically hideous backsides with a huge mudguard hanging off it. As much as I dislike it, I’m not sure I have a viable alternative for this kind of ride, so it is what it is. 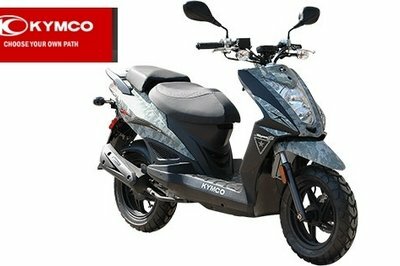 While Lance’s PCH 200i sports combined disc brakes for a bit of added safety, KYMCO goes beyond vanilla with a drum rear brake. C’mon guys, it’s 2018 already. Suspension is similar across the board and as simple as one would expect. The Super 8 runs a 151 cc thumper with a carburetor versus the fuel-injected plant in the PCH. 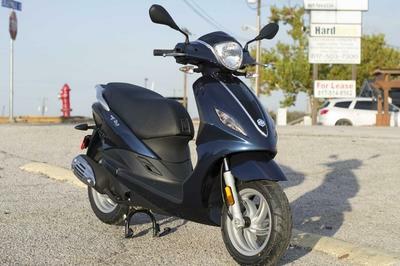 At 10.3-horsepower, it’s almost as powerful as the SYM engine, and the differences are mainly due to the handful of cubes KYMCO leaves on the table, and carburetion versus fuel injection. One thing KYMCO got right was the kicker as a backup starter, something I always like to see. At the checkout, KYMCO picks up a win with a $2,099 sticker that is a bit more accessible than the $2,599 PCH, but some customers may feel it’s worth paying for the extra power and EFI available with the PCH. 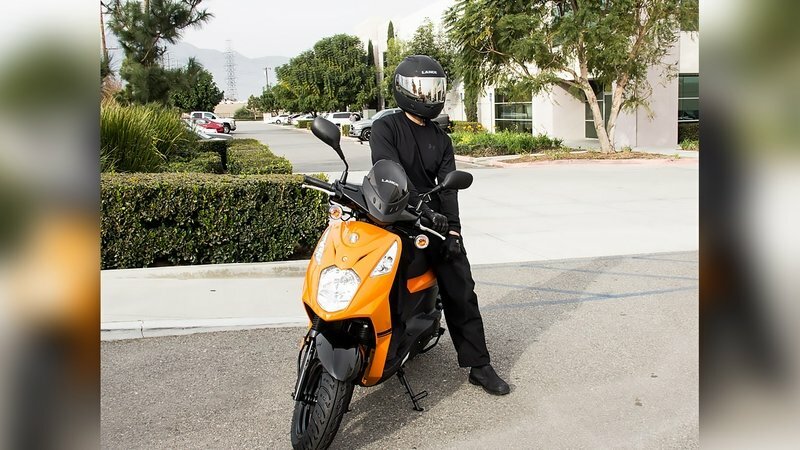 "I’m a little disappointed with the lack of storage space compared to other scooters of the same style and size, but it is a budget-minded ride, after all. As a little campus commuter or an errand runner, it would serve the purpose in an urban or suburban setting. Even though, legally, the 200i has an engine big enough for the highway, it isn’t really highway capable and trying to keep it wound up to maintain those speeds would be problematic, I think."